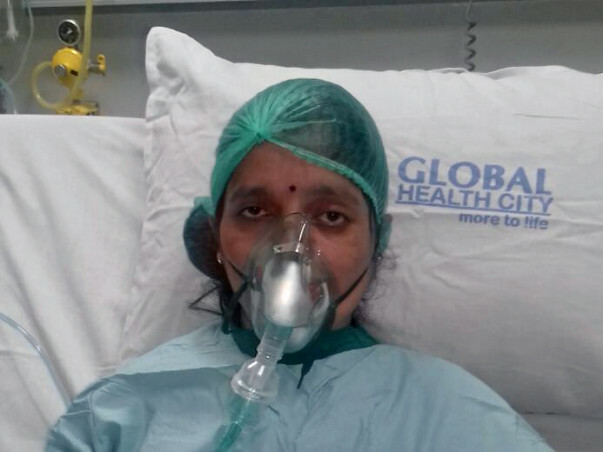 41-year-old Asha Harpale is suffering from a severe lung disease which has made her condition very critical. She now urgently requires a lung transplant as that is the only thing that will cure her condition. The total cost of treatment is around 35 lakhs. Her husband Dattatray Harpale is doing the best he can to fund his wife's treatment but 35 lakhs at such short notice is too much for him and he needs our help. 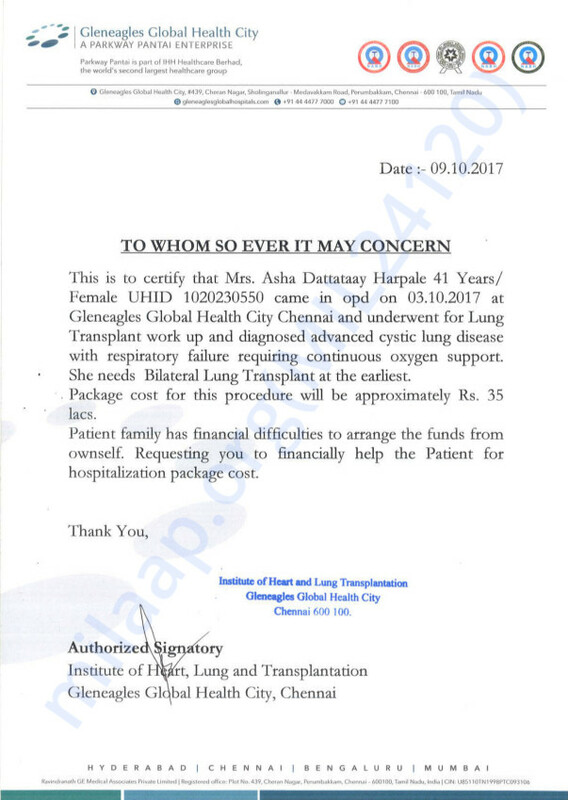 Your contribution towards Asha's lung transplant can help save her life and give her the treatment she deserves.